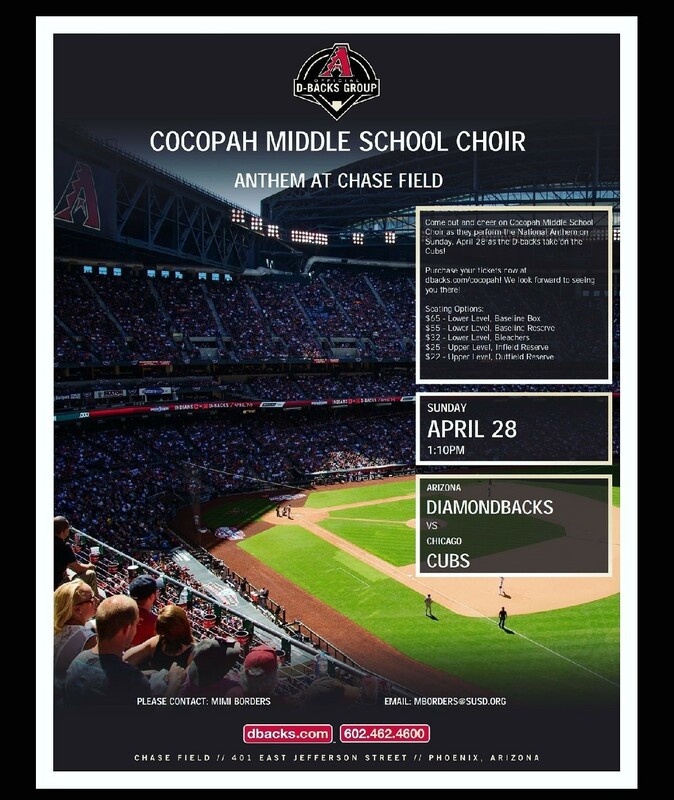 Another national anthem performance but this time, it’s JUST Cocopah Choir! And a Cubs game!!! Share the link with everyone you know! Choir will get a portion of each ticket sold. Choir members who wish to sing the anthem must purchase a ticket and be accompanied by an adult. This is such an amazing opportunity for our choir program to represent our school, watch baseball, and sing in front of THOUSANDS of people! Bonus: For Sunday games, the anthem is TELEVISED on FoxSports!! !